Move Over Diva Night! This October we're celebrating with Dudes too. Put on all your pink (reflective!!) gear and join us for a 1-mile or 5K distance run/walk at the Fox Valley Technical College, and then join us back to the store for food, beverages, and shopping deals. A portion of all sales will be donated to the Breast Cancer Research Foundation (BCFR). Sponsored by Mizuno Running. For only $10 get a cool event T from Mizuno and access to all our sweet fall gear, dim lights, loud music, and sweaty friends! 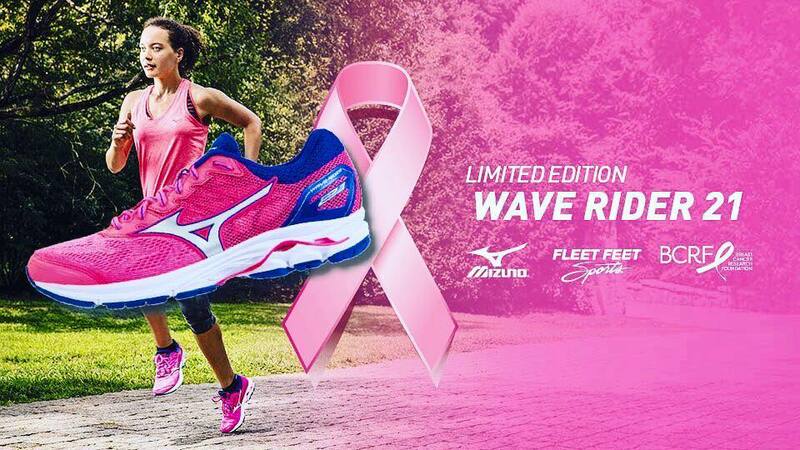 And don't forgot to grab your limited-edition Mizuno Rider: Size run is limited, as is the color!